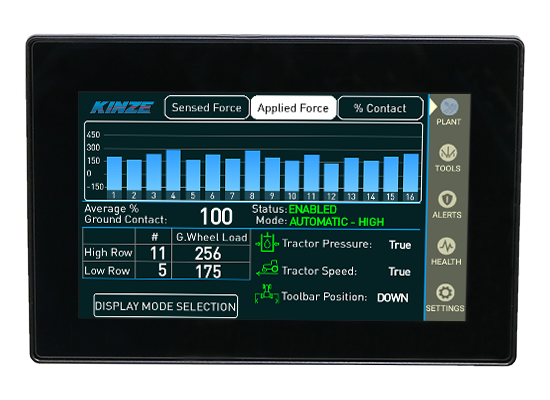 Starting with a rugged and versatile front fold frame, and equipped with True Rate™ vacuum meters and an electric drive system, the Kinze 4900 has the advanced features to deliver the accuracy, productivity, and bottom line profitability your farm requires. 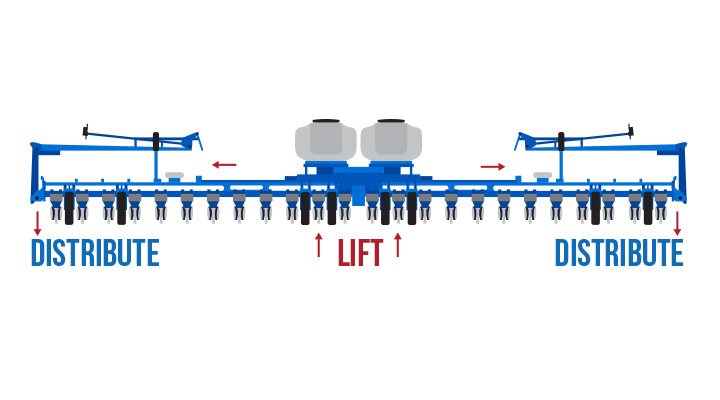 Available in 12, 16 or 24 row configurations, with bulk fill or row unit hoppers, the narrow transport 4900 is well suited for almost any size farm. 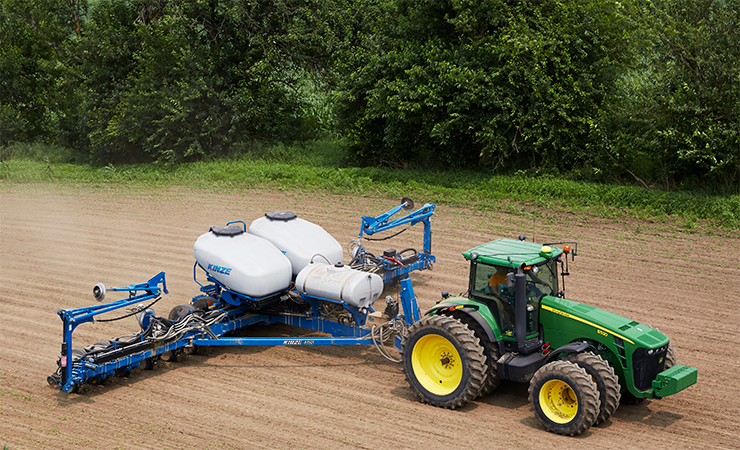 With several fertilizer, drive, meter, and attachment options to choose from, it has the built-in versatility to match your operation. 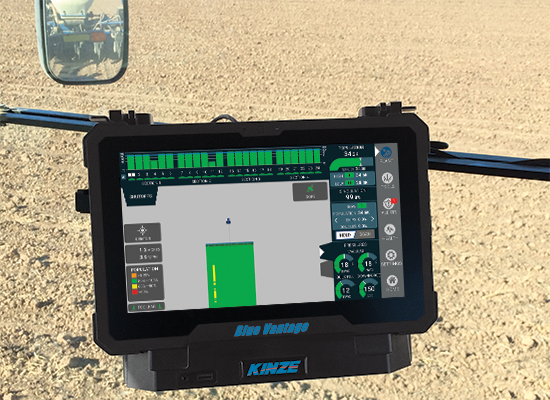 NEW for spring planting 2019, the Kinze Blue Vantage™ display, Kinze Blue Drive™ electric drive system and TrueDepth™ will be available on the 4900. Learn more here. 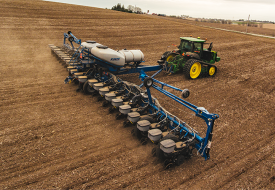 Pinch row soil compaction causes more problems than you can see – it reduces the amount of oxygen and water that reach plant roots, reducing yields. 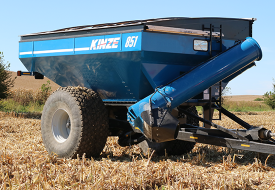 The standard Kinze hydraulic weight transfer system automatically distributes the weight of the bulk fill hoppers across the width of the toolbar, potentially reducing yield loss due to pinch row compaction. 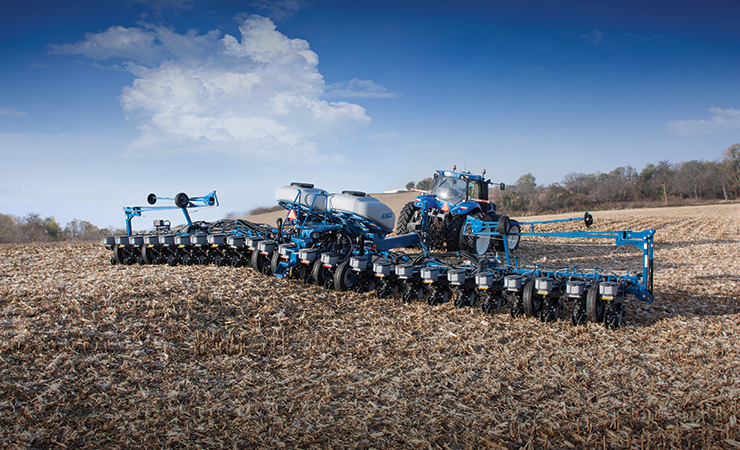 Critical to consistent seed depth, good emergence and ultimately profitability, is row units that can follow the terrain. 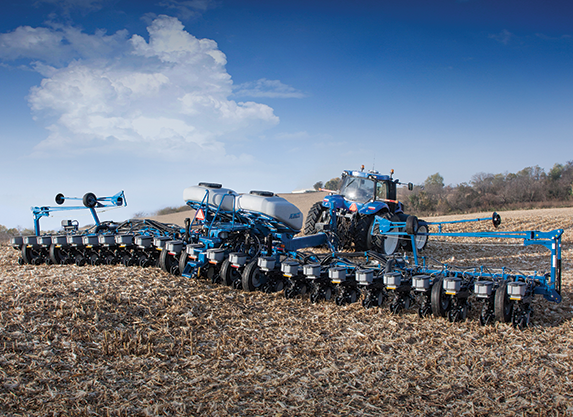 With 42˚ of total toolbar flexibility, the row units on a 4900 planter maintain ground contact on rolling terrain and terraces, ensuring your seed is where it should be: in the ground. 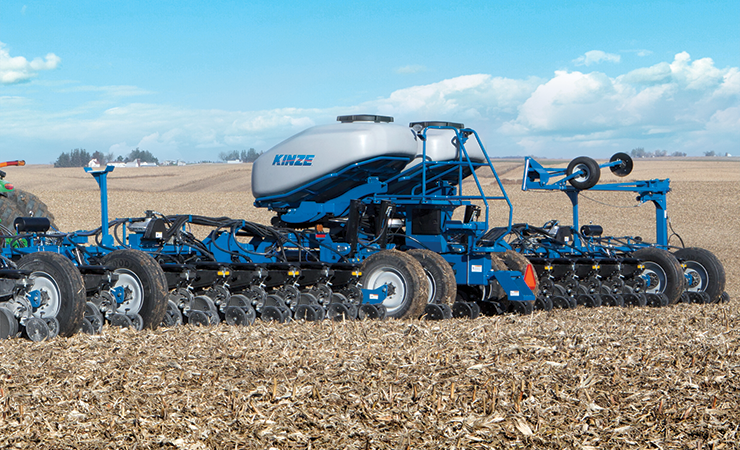 The rugged, accurate, and versatile Kinze 4000 series row unit delivers the crop emergence and stand you need. 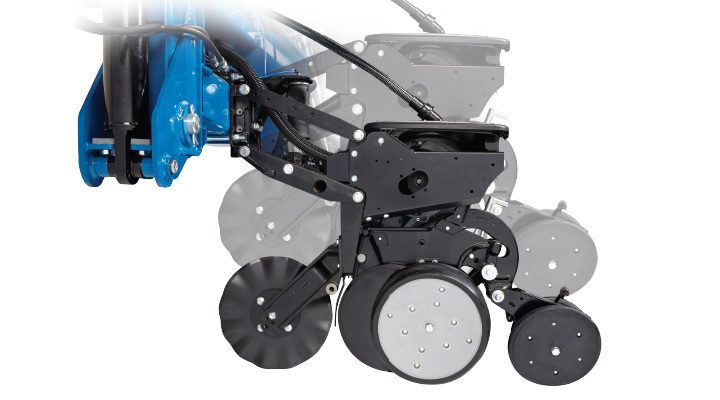 Constructed of durable cast-iron, and able to travel 12” vertically, seed depth is maintained in constantly changing field conditions. 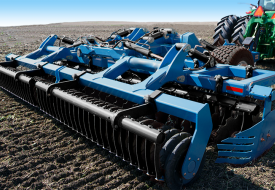 Various attachments ensure a quality seedbed for optimum germination. 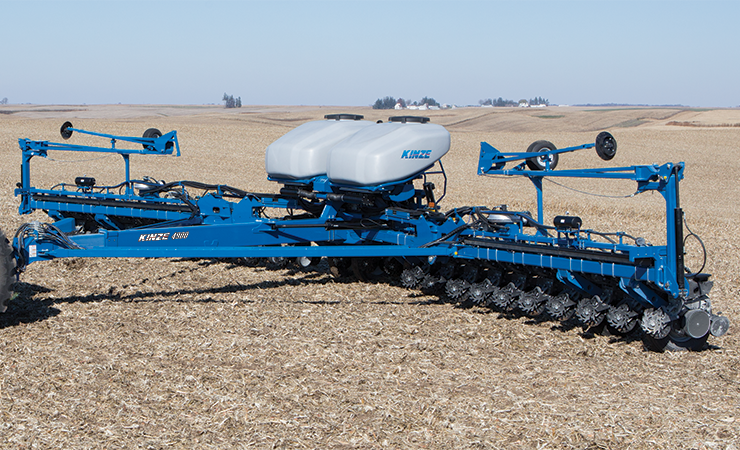 Learn more about this innovative row unit. 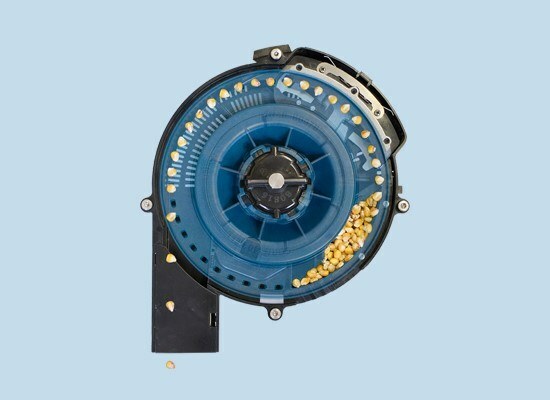 The bulk fill seed delivery system significantly reduces down time caused by plugging and bridging, by suspending and distributing seed in a constant stream of air. With a blower fan as the only moving part, maintenance is minimal. Easy clean out, an easy-access platform, and quick-lock lids make refilling faster and easier. 120 bushel capacity with 16 and 24 row; 90 bushel on the 12 row 4900. 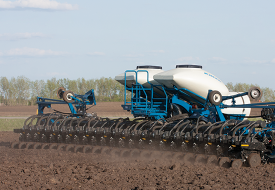 The front fold design of the 4900 planter makes moving from field to field safe and efficient. It quickly folds to a narrow transport width of 12’, making it easy to navigate down the road and through narrow openings. 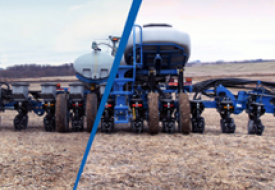 And the exclusive, patented, hydraulically activated flip axle, available on 24 row planter only, shortens the hitch-to-axle length by almost 5’, allowing a smaller turning radius. 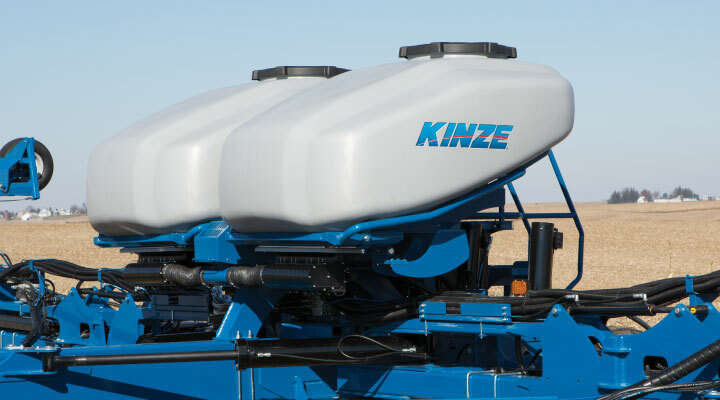 It goes back to the reliability and the design of Kinze products, and how sturdy and dependable they are. And of course, the dealer support we receive, and also the support from the company. 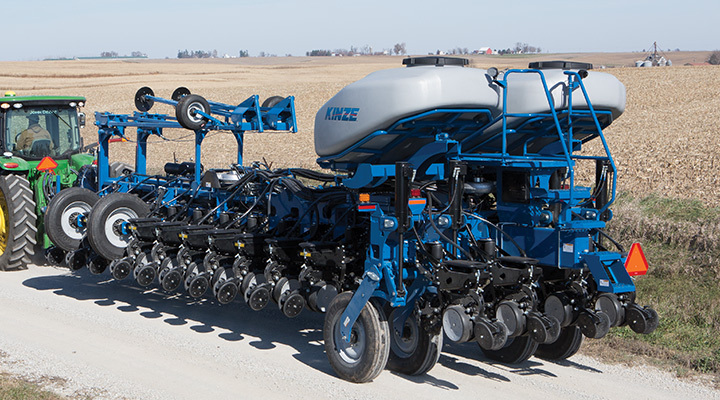 Planting with the Kinze 4900 planter has been a great experience for Richland, Iowa farmer Troy Adam.